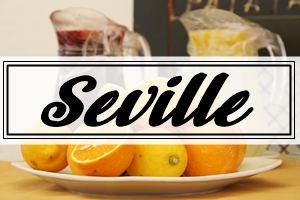 Under the Andalusian Sun food, wine and travel blog: WHERE TO GO IN ANDALUSIA? 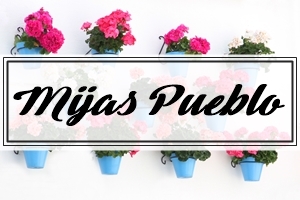 Here you'll find my tips as to what to do, where to eat and what to eat in Andalusia. 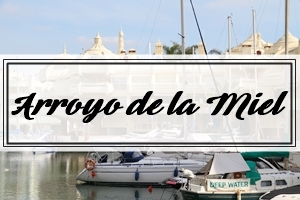 Those who'd rather explore the wonders of the oceans there's an aquarium at the Marina in Arroyo de la Miel. Open until late. Admission €14/ 16.25. Tickets bought in advance online come with big discounts. 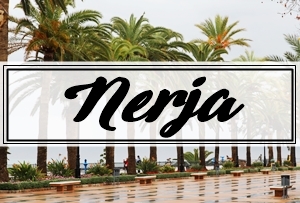 Located opposite the Benalmadena-Arroyo de la Miel train station this place is great for breakfast and popular especially on Sundays. Excellent Malagan style churros and great pitufos (stuffed bread). 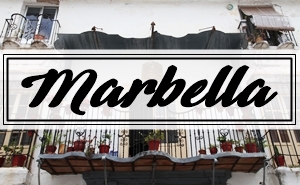 A small and traditional tapas bar located a couple of streets away from the station specialized in fish and seafood. The owners' fishmonger next door guarantees a wide and fresh selection such as razor clams. Located on the street off the main street with Burger King in the corner a couple of streets away from the station towards the marina. Traditional tapas bar, specialized in wines and local hams. Located close to Benalmadena Pueblo this destination offers a tropical climate in which to admire hundreds of butterflies flying around the visitors. The sunnier the day, the more active the butterflies. Fantastic photo opportunities! Hot and humid, so don't forget the water bottle. Disabled access. Open every day 10 am -8.30 pm. Tickets €9.50/ 7.50/ 6.50. Located right across the street from Mariposario there's also a Buddhist stupa (temple), open to visitors. Free admission. This peculiar tiny theme park dedicated to Christopher Columbus is the brain child of a doctor who was seriouly into history. Admission 2€/ 1,50€. Small and traditional tapas bar popular among the locals. Cheap and cheerful. Restaurant in a hotel that in recent years has gone through a big change for the better. Currently the best and most upscale restaurant in the village - even recommended by the Michelin guide. 116 years and 6 architects were required to finish this monumental project but the results are stunning. Admission €5/ €4 / €3. A bit more contemporary restaurant that combines Spanish food with Asian and Middle Eastern influences. This tapas restaurant is specialized in seafood and their seafood platter (€18) hits the spot beautifully. Wonderful deli with great selection of Iberico hams. In the evenings they also operate a small tapas bar next door. Excellent bocadillos. Located in old Cadiz, this restaurant wins no point for creativity, but if it's traditional food you're after, this is good place for that. Tasting menus start at €40 – but the biggest recommendation goes for the restaurant's tapas bar. Andalusians love deep-fried fish and seafood and freidurias do nothing but. Be prepared to queue, especially in the evening. Also located in Old Cádiz thsi tiny place has a slightly more modern take on things (and interesting wine choices). Owner Rafa's mum is in charge of the kitchen. Small but satisfying menu - tortillitas de camarones and albondigas de choco are particularly good. Located next to Plaza de San Juan, this Argentinian bakery/ café is specialized in empanadas and pastries with dulce de leche. Proud holder of Bib Gourmand, this place is one of the more contemporary ones in the city. Tasting menus start at €50. One of the oldest and most traditional tapas bars in the Old Cádiz. Very loved by the locals, so turn up early. Located next to the Cádiz central market this place stocks some of the rarer local treats, too. You can also bring fish and seafood of your choise over from the market and for a small surcharge the restaurant will cook it for you. Located close to Mezquita, Cordoba Cathedral, this restaurant is a bit more sophisticated (and pricier) gastrotaverna. Tuna tataki widely praised. Great wine list and excellent service. 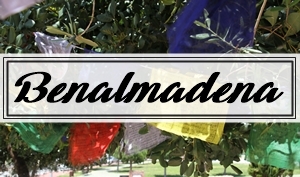 As the name suggests, located near Old Town close to Plaza de Las Tendillas. 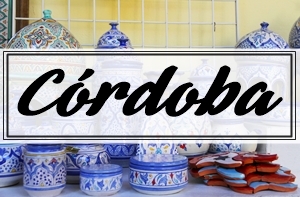 Traditional restaurant specialized in Cordoban cuisine. Try salmorejo and rabo de toro. Located near the town of Àlora about an hour's drive from Malaga, this nature reserve, its canyon and the steep cliffs offer plenty to see and do for trekking, canoing, mountain biking and rock climbing. 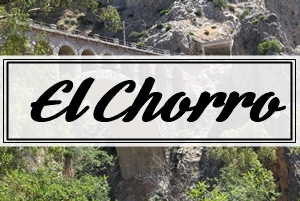 Conveniently accessible by the same (daily) Ronda train from Malaga Zambrano - El Chorro station is right in the middle of the park. Return ticket appr. €25. For overnight stays there's a hotel (with a good restaurant!) and a camping site. After renovating, the El Caminito del Rey has now been opened to the public. The number of daily visitors has been restricted to 500, so book your tickets in advance. A hotel- restaurant located next to El Chorro train station. Good food form local, high-quality ingredients. Big portions. Slightly pricier than restaurants of this quality normally are around here. Terrace offers spectacular views. 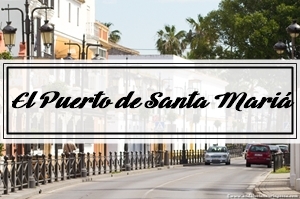 The small town of El Puerto de Santa Marían is famous for one thing: its sherry. Osborne is one of the most prestigious sherry houses around and the company behind those giant bulls who've became synonymous with Spain. This restaurant by Angel Leon draws its inspiration and innovative use of the ingredients from the sea that surrounds it. 2 Michelin stars. Tasting menus start at €165. 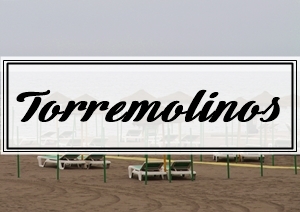 While popular among Scandinavians, Fuengirola has very little cultural value to offer. 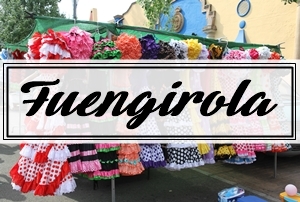 If you find yourself here on Tuesday or Saturday, the local market (located on the fería ground halfway between Fuengirola and Los Boliches train stations) is worth a look. Tuesday is regular, Saturdays it's fleamarket. (the exact coordinates will be updated... eventually) A restaurant painted in red at the corner of the square in front of the Church Nuestra Señora Rosario del Coronada at the corner of Plaza Constitución and Avenida Parque Fluvial. Daily specials along with cold and hot portions (raciones), some with more modern and even Asian twist. Try duck with mandarin sauce or oxtail- wontons. 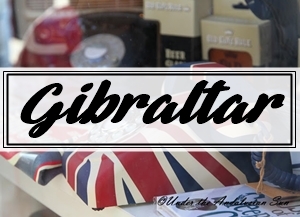 Known as one of the pillars of Hercules in the antique, today Gibraltar has found wealth in the form of offshore banking. It's a delightful piece of England at the tip if the peninsula and great destination for a day trip. Be amazed at the views, explore the nature, learn about the Jewish community, get to know English military history, marvel at the monkeys living at the top... or just make the most of the British high street. Just don't forget your passport! The grandest achievement of the Arab conquerors, this cluster of palaces was initially built as a fortress in 889 but still manages to impress with its beauty today. It is UNESCO's World Heritage site and one of the most popular tourist attractions in Spain today. Daily admission is limited, so the tickets can and should be book online. Admission: €14. Children under 12 free. Built in 12th century by Andalusia's Arab conquerors, this fortress wows especially with its ancient baths. On a clear day don't forget to pay the adjacent camera obscura a visit, too (additional fee). Admission €3/ €1.80. Fancy hanging out with a Marquis? Jerez is known as the city of palaces. Many of them, such as this (still owned by the same noble family it was originally gifted to) one are also open to public. Admission €7. Jerez is also home to the Royal School of Equestrian Arts, famous for their dancing horses. There are shows at noon every Thursday, depending on the season on other days as well. Admission €27/ €17. 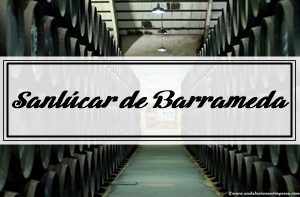 One of the absolute best places for a tour of a sherry bodega. Impressive settings and great selection. Famous for their fish and seafood (especially for their fantastically fresh tuna tataki). Excellent selection of sherries, too. Great tapas bar with extensive menu that will keep you entertained for hours. Another place worth a visit for any wine-loving foodie. Tasting menus start at €30 (including beverages). This restaurant is housed in a renovated sherry bodega. A treat for any sherry fan – try their tasting menu especially paired with sherry (€32). This restaurant by Israel Ramos impresses both with its stylish decor and modern take on local classics. Excellent wines. Located 22 kilometres from Ronda and about 100 kilometres from Málaga, this is one of the strangest places in Andalusia. The whole village was painted blue in 2011 as part of SONY's advertizing campaign for the Smurfs movie. Dedicated to Picasso, born in Malaga, this museum is worth the visit even though it doesn't house any of the most famous paintings. Central location, so the day continues beautifully in the tapas bars in the surrounding streets. Admission €9 (permanent collection €6), under 18 free. Wednesdays free guided tour in English. A bit classier restaurant and tapas bar. Great wine list. A popular, innovative and contemporary tapas bar run by Michelin-starred local legend Dani Garcia. Impressive ingredients (foie gras, truffles...) yet affordable prices. Across the street there's every bit as popular and very traditional tapas bar Orellana. Located near Marbella, this giant shopping paradise houses even brands that are normally hard to come by in Europe such BCBG. Open until late. Plenty of free parking space, but you can also get there via regular bus services. Head over to Marbella's marina in case you either want to ogle local millionaires, their cars and their yachts (and their 20-something girlfriends!) or want to do some serious shopping (they have all the good shops from Hermés to Versace). Located on a narrow alleyway just off the Plaza de Los Naranjos this traditional restaurant is very popular among the locals. Also located on the small sreets off the Plaza de Los Naranjos. 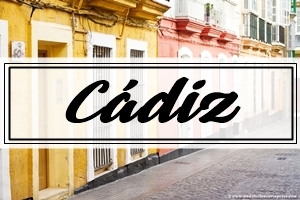 Tiny, traditional and specialized in Cádizian classics. Cards not accepted so bring cash! 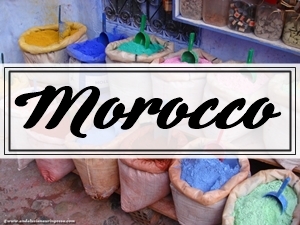 Morocco makes a nice and handy destination for a weekend break. The quickest and most popular route is Tarifa- Tangiers, which at its quickest takes half an hour. Tickets can be bought along the road to Algeciras and Tarifa, at travel agents and online. Return ticket costs depending on the route and speed of the vessel around €50. Chocolate-making workshops from carefully sourced, high-quality cocoa. Prices start at €25 for 1,5 hours of get-your -hands-dirty fun. Classes available in various languages 7 days a week. Space is limited, so book in advance! Traditonal restaurant in the middle of Old Town Mijas. The traditions are maintained occasionally (with presentation of the dishes) to a tragicomical extent, but the food is gooood. Offers some less prestigious cuts of mear typical for Basque cuisine such as pig's trotters and tripe. Duck liver and spider crab are worth a try. Slightly pricier than the average restaurants- reservation recommended. Located 50 km east of Málaga on the A 7 highway, this network of caves was only discovered in 1956 by five local boys. The caves go on for kilometres and offer stunning views of the stalactites and stalagmites - a definite must-see. The biggest cave hosts concerts in spectacular surroundings and every June there's an international music festival. 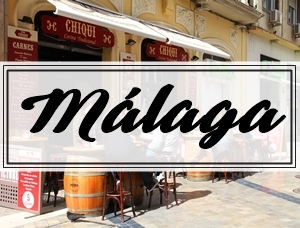 If you don't have a car, there are bus service at least from Málaga and Málaga airport. Admissions €4.50/ 8.50. Children under 6 free. this historic town makes a great destination for a day trip. Stroll around the Old Town, admire the spectacular vies from the famous bridges and sit down for a leisurely lunch... 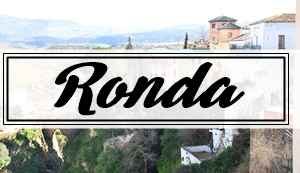 The road A397 to Ronda offers stunning views of the mountains too, but Ronda is also accessible by buses and trains, at least from Malaga, Córdoba, Seville and Algeciras. Possibly the best restaurant in Ronda, located in the Hotel Montelirio. Great service, excellent wine list and fantastic menu honouring local produce. Meat is particularly good here. And if that wasn't enough, the phenomenal views over Ronda canyon make this restaurant worth the trip. 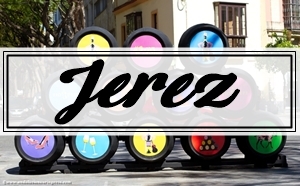 Part of Marco de Jerez, the Sherry country,the thing that makes the town of Sanlúcar de Barrameda so special is the fact that this is the only place where Manzanilla sherry is made. For a sherry tourist this is by far the most convenient of them all – you're never more than a couple of minutes from one of the tens of bodegas in town. Delgado Zuleta is the oldest still in business. This tiny and adorable place is the oldest sherry house still operating out of their original location. In addition to sherry bodegas, this castle, built by the noble family of Medina Sidonia is the #1 attraction in Sanlúcar de Barrameda. Admission €7/€4. Tapas bar worth recommending for their selection of Manzanilla alone. My favourite choice for going completely overboard with tapas. Focus on fish and seafood, extensive list and cheap prices. Tapas bar serving all the classics. This,too, focuses on fish and seafood – make sure to try their stuffed calamari. Originally built as a fortress, this is the oldest royal palace still in use in Europe. A bit like poor man's Alhambra, this UNESCO World heritage site is considered the best example of Mudéjar architecture. Also houses an impressive exhibition of Andalusian ceramics. Night-time visits also occasionally available. Admission €8.75, discounts for seniors and students. Children under 16 free. The heart of the Old Town in Seville, this cathedral, completed early in the 16th century is a masterpiece of Gothic architecture and a UNESCO World Heritage site. The church, still third largest in the world, is also the final resting place of Cristopher Columbus. The adjacent Giralda-tower offers spectacuar views over the entire Seville. Open daily, on Sundays only in the afternoon. Admission €8/3. The biggest water park in Costa, even more impressive than Aquaworld in Mijas. Tickets €23.40/ €16.65/ €10. Discount for over 65s. Tickets available for multiple days too. Dicount when booking online. Don't forget high factor sunscreen!